Ford recommended PSI for stock driving tires is 30psi as per your door tag. 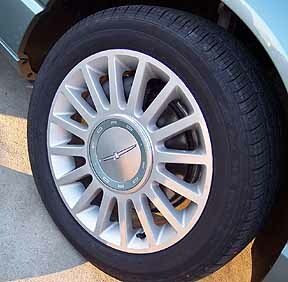 Your space saver spare tire should be at 60# pressure ~ do check before driving your car. 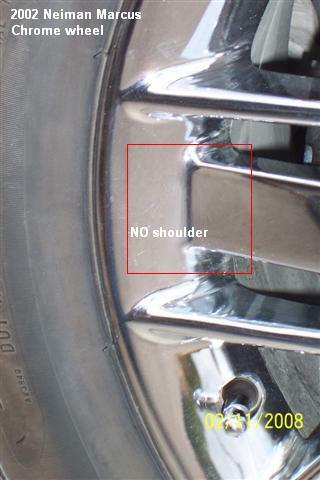 and also read the wheel well page and you will be prepared in case of a flat. No spare tires to fit the Thunderbird are available from Firestone. MAXXIS may have some: Call for availability. Max 44psi; "never inflate more than 40psi to seat bead" "Follow owner's manual or placard in vehicle"
Owner's manual and passenger door plaque recommends 30psi. Check your tire pressure monthly! In the bottom of your trunk is the spare tire (full size but narrower than on stock wheels), a jack, and a Lug Nut Wrench. In the 2002/2003, the wrench came in a felt type storage bag. 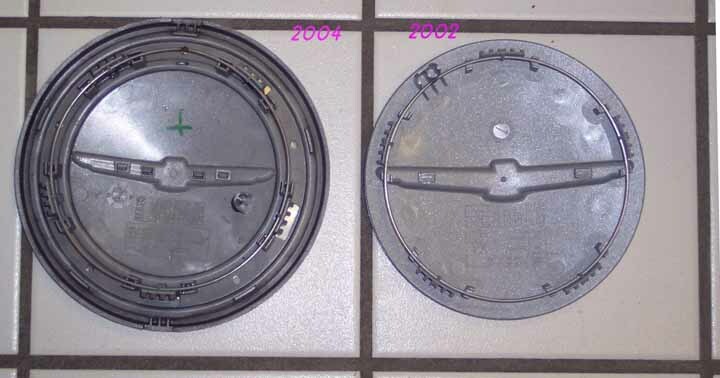 In 2004-2005, no bag supplied for wrench. It lay in a groove in the bottom of the spare tire well. Also included is a round, black Button Cap sitting on top of the spindle. Be sure it's in place when you put the Wheel Well cover back on or you might find the spindle eventually making a hole in your Wheel Well Cover. 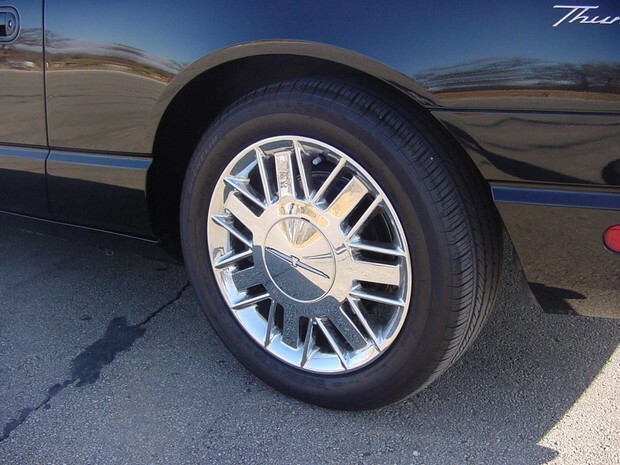 Trivia: The tires, as delivered on the car,, from the factory, were very over-inflated, ie, set at around 45 psi. Please make sure your dealer has checked all 4 tires and brought them to specs before you take delivery. Over inflation as it came from the factory was quite noticeable as a very stiff, jittery, shakey ride and some might complain about severe cowl shake. Many owners have complained about the ride only to discover that their tires are still set at 45psi. Their dealership prep department did NOT check the tire inflation. silver painted ~ flat surface is "micro-machined"
Showing the bright finishing on the machined surface. To Note: the wide bladed spoke meets rim with no shoulder. 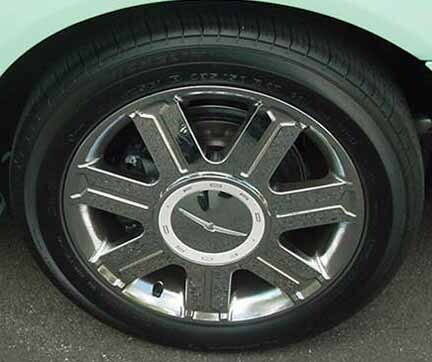 The NM wheel has 2 alignment slots for the hubcap, the deluxe and premium wheel have 1 alignment slot. 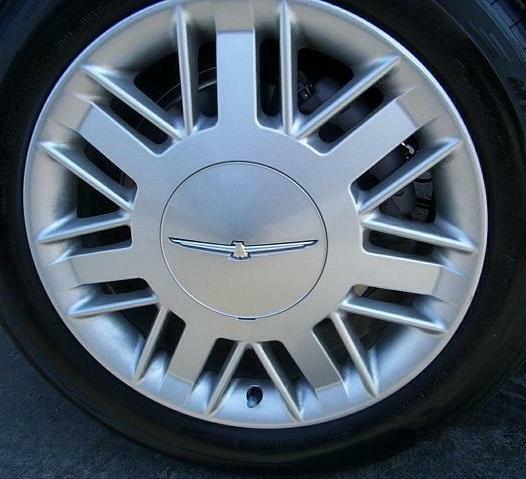 02/03 Deluxe Chromed Trivia: The valve stems on the deluxe and Neiman Marcus wheels are located "below" the winged logo when installed. 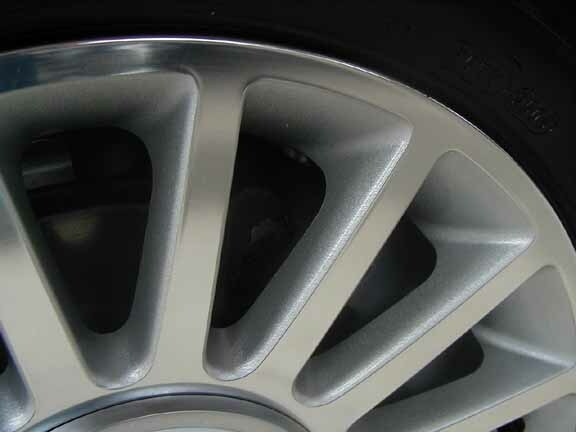 See picture of the grey painted Deluxe wheel. 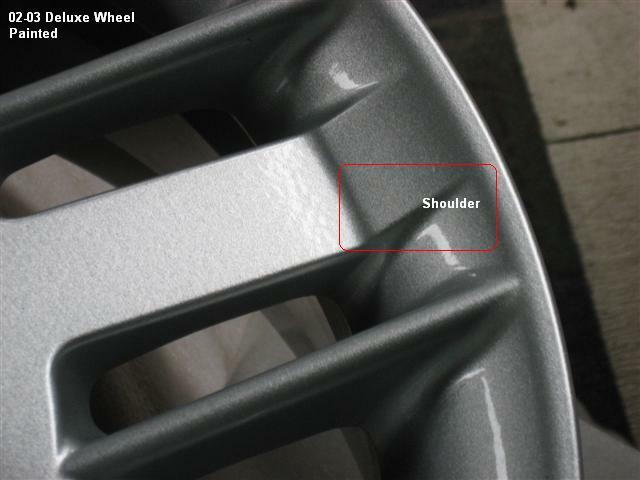 The Premium wheel has the valve stem located above the winged logo when installed. 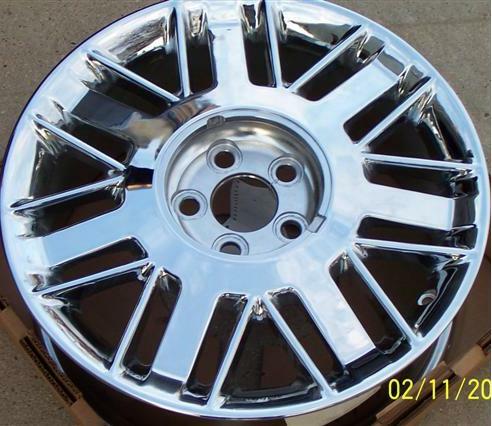 There may be a few painted wheels that are built like the NM wheel as I came across a photo of a painted Deluxe with no "shoulder" on the wide blades. One end to help with removal of lug nuts. Note: lug nut wrench with 2002s may or may not have the protective tube. 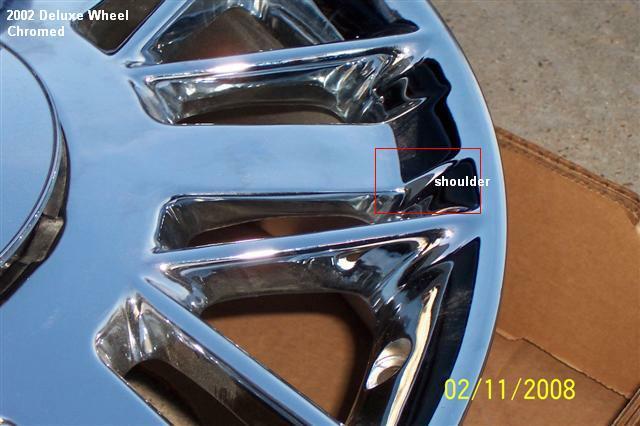 Be sure to use something to cushion the metal when removing hubcaps particularly if your wheels are painted or "machined" Use the flat end to help with removal of hubcaps. 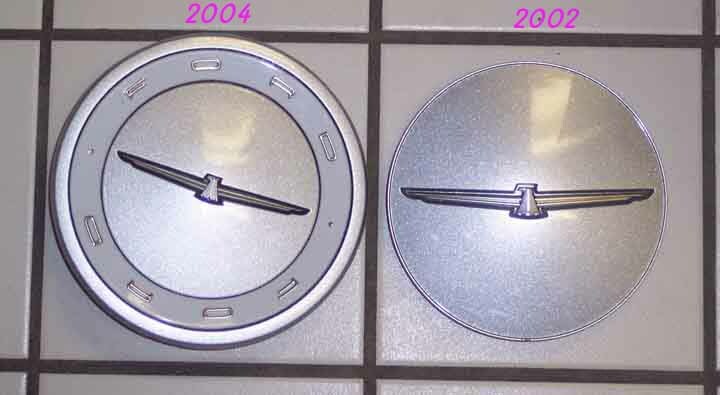 The 2004/2005 hubcap is larger than the 2002/2003. 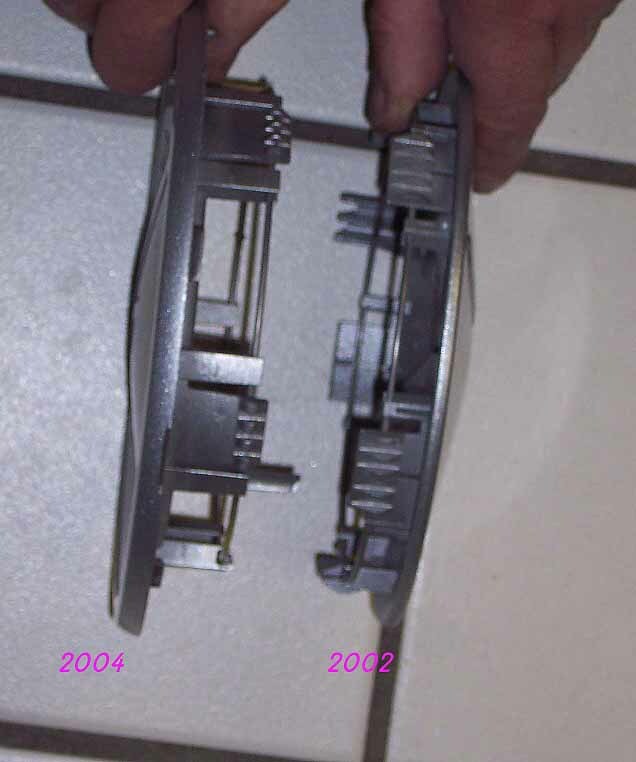 Though the snap on ring wire appears to be the same diameter, the positioning & hold on clips would have to be cut off on the 04 hub in order to slip on the 02 wheel thus losing it's holding ability to the wheel. The wire ring is placed much closer to the plastic on the 02 hub and would not be able to snap into the built in snap ring on the 04 wheel. conclusion - they are not interchangable. The 2002 spare is a full size spare but narrower than the stock wheel and tires. A bit of trivia: the 2002 spare is a Firestone. A little more trivia: Some of the earliest cars came with 4 Firestone Firehawk WK LH 235/50/17. Possibly the preproduction models? This would be one rare set of tires. All production models have been noted as having the Michelins.